A bee sting can be serious or simply a nuisance depending on how your body reacts to it. In most cases, you may experience temporary pain, swelling, itching and redness at the place where the bee has stung. If you are allergic to bees, it can lead to serious consequences with some of them being life threatening. Rapid pulse and difficulty breathing. Dizziness and loss of consciousness. Swelling of the tongue and throat. If you show any signs of a severe allergic reactions, it is important to seek immediate medical help. You can experience anaphylactic shock and this can be life threatening, if you don’t treat it immediately. Call emergency services if you experience any of the severe symptoms. Avoid driving yourself to the emergency room. If you don’t experience any of the severe reactions, you can choose to treat the bee sting at home. 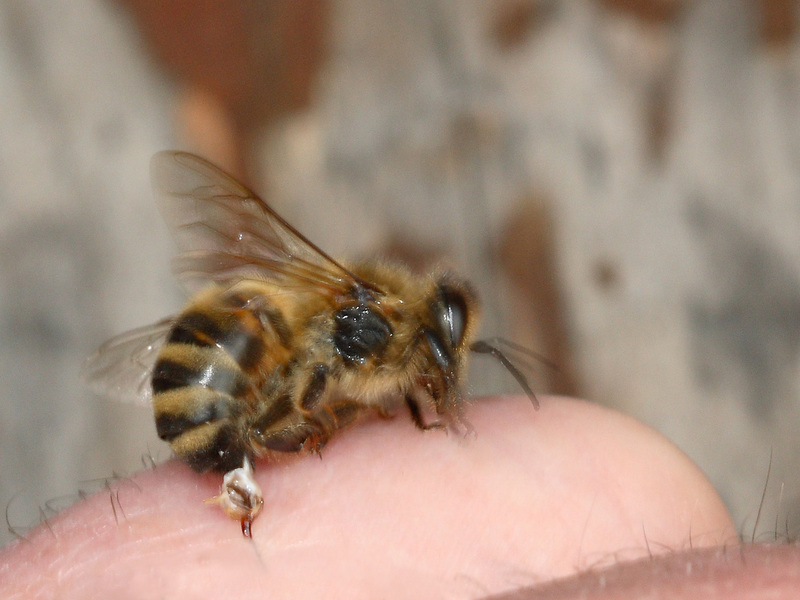 Remove the Stinger – After you are stung by a bee, it is important to determine if the stinger is still there. If it is visible, carefully scrape the area with a straight edge object to remove it. Avoid using tweezers or pincher to remove the stinger as it only pushes the venom deep inside the skin. The stinger has a sac of venom inside it and if you don’t remove it quickly, it can push more venom inside the skin. The venom usually takes a couple of minutes to enter the skin and if you are able to remove the stinger immediately, you can reduce the severity of the symptoms. Control Swelling – Clean the area with soap and water. Irrespective of whether you are stung on your arm, legs, neck or face, it is best to ice them. Apply and reapply the ice pack every few hours so that you are able to reduce the swelling and the redness considerably. If you are stung on the legs and hand, you need to elevate them. Remove any jewelry from the area of the sting, so that you can control the swelling effectively. Treat the Symptoms – If you are in considerable pain, you can take an over the counter painkiller. Take an antihistamine for itchiness. Remember that it may take 2 – 3 days for the area to heal. It is important to keep it clean so that you prevent infection and speed up the process of recovery and healing. Even though there are many home remedies available for bee sting they are not effective in treating the symptoms but can provide relief from pain and swelling. If you have been stung multiple times you need to see a doctor even if you are not experiencing any kind of severe symptom. If the swelling and pain does not subside within a couple of days after treatment you need to consult the doctor again for relief.